A Vicodin overdose can be fatal. It is important to seek emergency medical services as quickly as possible if an overdose is suspected or any signs of overdose occur. 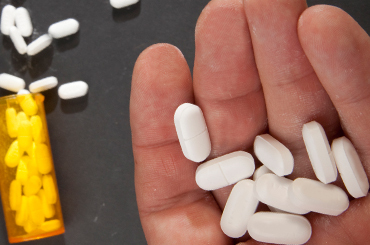 Since Vicodin is a compound of acetaminophen and hydrocodone, overdose of both ingredients can occur, with each leading to significant adverse health consequences. Slowed breathing and heart rate. The skin can be cold and clammy to touch and/or bluish at fingernails and lips. Pupils of the eye shrink to a point (pinpoint pupils). There can be GI distress along with abdominal spasms and vomiting. Vicodin abusers also consume large doses of acetaminophen contained in the compound. An acetaminophen overdose can cause liver damage and can be fatal. There are several causes of a Vicodin overdose. All Vicodin use—as prescribed or when abused—causes a physiological tolerance. In time, greater amounts of the drug are needed to create a desired effect. Abusers tend to ‘self-prescribe’ higher doses and to continue use over an extended period of time. Extended use of Vicodin causes liver damage that eventually impedes normal hepatic drug metabolism, which can further increase the likelihood of overdose. Apart from liver related issues, larger amounts of Vicodin also have damaging or potentially fatal effects even with short-term or first use. Large amounts of Vicodin have damaging and potentially fatal effects.Large doses of the drug can result in overdose of both the hydrocodone and the acetaminophen contained in the compound. Each drug has its own individual overdose risks in large amounts or over a prolonged period of use. Some methods of ingestion have higher overdose potential. Intended for oral use at precise doses, overdose risk will increase as abusers ‘tamper’ with the pills. This may include crushing the pills so they can be snorted or dissolving them in water, so they can be injected. Any method other than oral ingestion leads to a rapid delivery of a high volume of Vicodin into the system. Polydrug Vicodin overdose also occurs when other substances are used in combination with Vicodin. Drugs with an ‘additive’ effect increase Vicodin toxicity by enhancing its sedative and depressant effects on brain, lung and heart functioning, for example. Existing health conditions can result in poor absorption and processing of hydrocodone and/or acetaminophen that lead to overdose. Organ damage, disease or failure. History of head injury, seizure or coma. 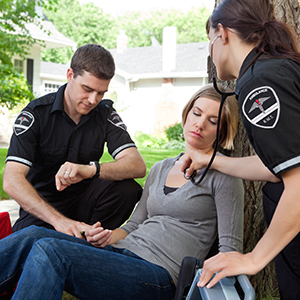 You should seek immediate medical assistance through 911 if you suspect an overdose. Follow instructions given by 911 until help arrives. You can also call the Poison Control Center at 1-800-222-1222. Their staff can tell you what to do until help arrives. If there is vomiting, the person should be turned on a side to avoid choking. You may be instructed to begin CPR by responders on the phone. Collect bottles of all substances taken to give to emergency medical staff. Refrain from using other substances while taking Vicodin. Consult with your doctor or pharmacist about over-the-counter substances (e.g., pain relievers, cough/cold medications) before taking them with Vicodin. Don't take Vicodin with alcohol. Irreversible liver injury can result. Discuss alternative pain management strategies with your physician if you've started misusing Vicodin. Take Vicodin by prescription only and only as prescribed. Avoid alternate methods of dosing, such as nasally or by injection. If misuse is occurring, it’s time to seek help. Our treatment support team can provide more information at 1-888-993-3112Who Answers?. Since signs of overdose may not occur for some hours after taking large amounts of Vicodin, it is important to get emergency medical help immediately after large amounts have been taken. Damage could occur without visible signs for some time. Quick intervention, for example, can lessen liver damage and prevent death. A call to Poison Control or 911 is warranted. Resuscitation measures by paramedics can be intensive and prolonged on the scene and en route to the hospital if respiratory or cardiac functioning is failing. Assisted breathing is often necessary. A narcotic antidote (naloxone, or Narcan) can rapidly reverse hydrocodone overdose symptoms, but can instantaneously reveal the troublesome effects of acute narcotic withdrawal. If possible, other efforts are made to empty Vicodin from the stomach and intestines with activated charcoal, laxatives or gastric lavage (stomach pumping) to prevent further drug absorption. An antidote to the acetaminophen toxicity can be given in the form of acetylcysteine (Mucomyst). Depending on the presumed amount of ingestion, acetylcysteine administration can be timed to counter the progressive liver injury that would otherwise be occurring. Overdose victims are typically referred to psychiatric and/or addiction treatment. If the overdose was intentional, for example, psychiatric care for suicidality is warranted; if a result of Vicodin addiction, consultation regarding addiction treatment is usual. Recovery from a Vicodin overdose may involve medical follow-up for physical problems such as liver damage caused by the overdose. Those who used Vicodin for pain should consult with a pain management specialist to find safer alternatives. Addiction recovery efforts are best started in an inpatient or residential setting where intensive support and therapeutic structure are available. For those who have intentionally overdosed, concurrent psychiatric care can address suicidal behavior and life stressors that led to self-harm. Addressing the cause of an overdose is important to ensure full recovery. You can call to speak to one of our treatment support team members about addiction treatment options, 24 hours a day, at 1-888-993-3112Who Answers?. Please don’t hesitate to call; make the choice for recovery today! Aschenbrenner, D. (2014). Hydrocodone: A New Recommendation And A New Drug. American Journal of Nursing, 114(2) , 24. Bagnola, A., & Escaño, A. (2013). Identifying Potential Causes of Opioid Toxicity Necessitating a Rapid Response Team Visit. Journal of Pharmacy Technology, 29(3) , 118-122 . Beletsky L., Rich J., & Walley A. (2013) Prevention of fatal opioid overdose. JAMA, 308(180), 1863–1864. Centers for Disease Control and Prevention (CDC), National Center for Health Statistics. CDC WONDER Online Database, 2012. Dasgupta, N. (2010). Opioid Drug Overdoses: A Prescription for Harm and Potential for Prevention. American Journal Of Lifestyle Medicine, 4(1), 32-37. Fontana, R. (2008). Acute Liver Failure Including Acetaminophen Overdose. Medical Clinics of North America, 92(4) 761–794, 761–794. Forrester, M. (2011). Ingestions of Hydrocodone, Carisoprodol, and Alprazolam in Combination Reported to Texas Poison Centers. Journal of Addictive Diseases, 30(2) , 110-115. Friedman, R., Rick, A., House, J., W, L., Gherini, S., & Mills, D. (2000). Profound Hearing Loss Associated With Hydrocodone/Acetaminophen Abuse. American Journal of Otology, 21(2) , 188-191. Green T., Heimer, R., Grau, L. (2008). Distinguishing signs of opioid overdose and indication for naloxone: An evaluation of six overdose training and naloxone distribution programs in the United States. Addiction, 103(6), 979–98. Harvard Medical School (2011). Painkillers fuel growth in drug addiction: Opioid overdoses now kill more people than cocaine or heroin. Harvard Mental Health Letters, 27(7): 4–5. Hermos, J., & Lawler, E. (2011). Opioid Overdose-Related Deaths. JAMA, 306(4), 379-381. King, N., Fraser, V., Boikos, C., Richardson, R., & S.Harper. (2014). Determinants of Increased Opioid-Related Mortality in the United States and Canada, 1990–2013: A Systematic Review. American Journal of Public Health, 104(8) , 32–42 . Kuehn, B. (2013). FDA Committee: More Restrictions Needed on Hydrocodone Combination Products. JAMA, 309(9), 862. Offerman, S. (2011). The Clinical Management of Acetaminophen Poisoning in a Community Hospital System: Factors Associated with Hospital Length of Stay. Journal of Medical Toxicology, 7(1), 4-11. Paulozzi, L., & Ryan, G. (2006). Opioid Analgesics and Rates of Fatal Drug Poisoning in the United States. American Journal of Preventive Medicine, 31(6) , 506 - 511. Paulozzi, L., Kilbourne, E., Hema, A., & Desai, M. (2011). Prescription Drug Monitoring Programs and Death Rates from Drug Overdose. Pain Medicine, 12(5), 747–754. Paulozzi, L., Logan, J., Hall, A., McKinstry, E., Kaplan, J., & Crosby, A. (2009). A comparison of drug overdose deaths involving methadone and other opioid analgesics in West Virginia. Addiction, 104(9) , 1541–1548,. Schweighardt, A., & Juba, K. (2014). Extended-Release Hydrocodone: The Devil in Disguise or Just Misunderstood? Annals of Pharmacotherapy, 48(10), 1362-1365. Strang J., Manning V., Mayet S., et al (2008). Overdose training and take-home naloxone for opiate users: Prospective cohort study of impact on knowledge and attitudes and subsequent management of overdoses. Addiction 103(10), 1648–1657. Theodore J. Ciceroa (2013 ). Factors influencing the selection of hydrocodone and oxycodone as primary opioids in substance abusers seeking treatment in the United States. PAIN,154(12) , 2639–2648. Webster, L., & Fine, P. ( 2012). Overdose Deaths Demand a New Paradigm for Opioid Rotation. Pain Medicine, 13(4), 571–574.